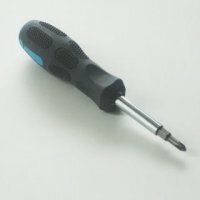 Basics of Building Your CNC - Tools, Precautions, etc. This tutorial is dated, if you are considering a CNC for your personal use, we would highly recommend purchasing a kit that is very stable from our wide range of machines available. A CNC machine is probably the most useful tool a hobbyist can own, but the price for a CNC machine on the market is way more than the average hobbyist is willing to spend. Each day I will add video tutorial steps to get you through the build with very basic tools, little knowledge of machinery, mechanics, or electronics; but I must warn you, these machines are inherently dangerous, so wear the proper protection and use common sense. At the very least, read the instruction and precautions on every tool you use. I am especially not responsible for relationships gone bad as a result of the obsession you are about to embark. If you have reached this site and you are still reading, you are either very excited and can't wait to get started, or you are supremely confused and wondering what is this CNC thing. To slow the enthusiastic readers, I will explain this in layman terms (a more technical and historical perspective can be found here on wikipedia.org). Another word of caution, our CNC will not look like the one on Wikipedia. That's the expensive sort. CNC is Computer Numerical Control but that is gibberish. It does hint you to the fact that something is controlled, and probably by a computer. Well, that's my interpretation. It's really a mechanism that interfaces to a computer to control its movements, similar to a robot, but this machine has a specific function. It cuts or shapes things with this control. 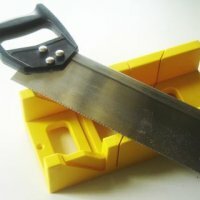 In essence, a computer precisely controls a cutting tool, like a router for instance, to cut materials such as wood, plastic or metals into shapes only bounded by your imagination. We will get into more depth later regarding some of the knowledge you may need to actually cut some of these materials, but that's it in a nutshell. The piece of wood that will save your marriage! No, not that wood silly, the piece of scrap wood shown in the picture! You will definitely need this piece of scrap wood to save the furniture upon which you will shape the components of the CNC machine. If you disregard this advice and put holes into tables and family heirlooms, well, need I say more? This piece of wood can serve as a base to drill, evidenced by all of the holes, and clamp. Those little lines on the wood is a result of my vice-grips. I don't suggest the use of vice-grips, buy a real clamp, you will not regret it! One more marriage saving advice, clean up after yourself. Wood gets displaced from the material onto all that beautiful furniture. Huh?!? 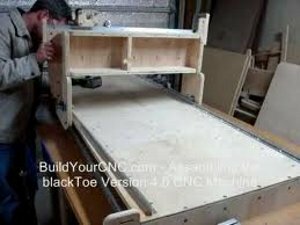 Yep, you heard right, when you finish making your first CNC, it won't look the slightest bit attractive, or sleek, unless you are a cabinet maker and you have refined your woodworking skills over time. I didn't think so. You definitely won't like mine when you see it, but it works, and works well. When you make this CNC, you will probably want to make another CNC machine with the first one you have built, let's not and make the first one your primary workhorse. Who knows, maybe you will invent the next greatest CNC machine, or any other thing your imagination can conjure up. 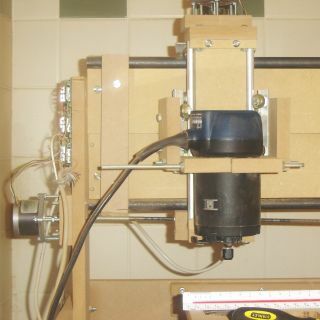 No need for a bunch of tools to create the ugly CNC machine. Essentially, you can get by with a cheap saw, cheap drill, cheap metal cutting saw, a 5/16" tap (a device that threads the inside of a hole to enable a screw/bolt to fasten) and a cheap screwdriver. When I say cheap, I mean it literally, and economically. I found that the cheapest miter box saw in plastic had the right amount of flexibility to hold certain pieces of wood as a vice since the modulus of elasticity of the cheap thin plastic was, ahh.. flexible. Don't be afraid of words like modulus of elasticity. It is just a fancy word, engineering mumbo jumbo, for how much pressure (usually in pounds per square inch) it takes to break or bend something. Thin plastic, even when formed into a hollow geometric shape will bend to a very adequate springy vice within which to hold materials just a tad larger than the inside of the miter box. In time you will see what I mean. Disclaimer... I welcome suggestions with the fancy word/phrase interpretations. When I began my first built, I didn't have a clue as to much of what the generous DIYers were saying on other sites.